The Enzyme Replacement Therapy HGT-1110 Phase I/II clinical trial has been fully recruited. Patients are participating from three continents; Europe, South America, and Australia. The primary purpose of a Phase I/II clinical trial is to study safety and to establish a target dosage for further study. The trial lasts 40-weeks so the last patient should complete their primary end point in March 2015 or thereabouts. Allowing 3-4 months for data analysis and review, there might be some results reported Summer 2015. Shire is the trial sponsor. Great Patient Focused Drug Development (PFDD) meeting at the FDA Tuesday discussing patients perspective on the neurological inborn errors of metabolism (IEM). Dean Suhr, president of the MLD Foundation, spoke on the second panel of the day and was able to both share and stir the pot a bit with regard to some of the patient perspectives on what we want in therapies, risk/benefit, access to trials in the US, compassionate/named access, patient reported outcomes, and consent. It’s not all about statistics and biochemistry – we have life to live! 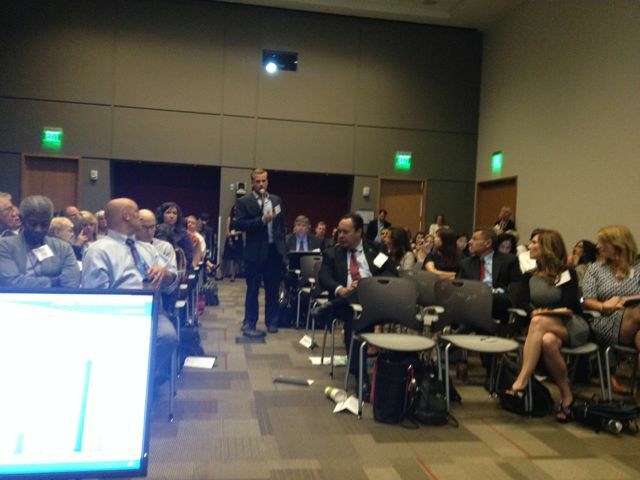 View from the panel of ½ of the audience of advocates, families, researchers, and industry at the FDA PFDD meeting on IEM. 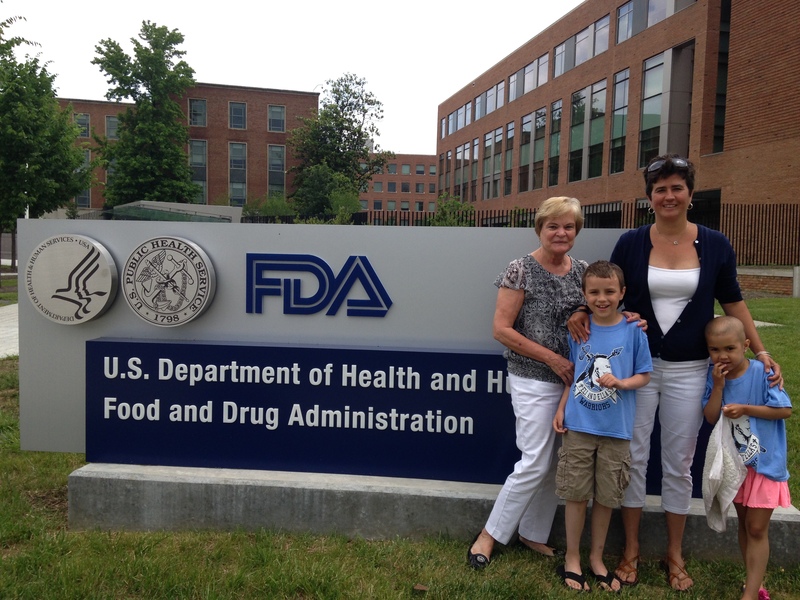 Also met the Medical Officer at the FDA assigned to gene therapy and made sure she talked to Becky Vivian, a MLD mom who was there with her kids Eli and Ella showing the remarkable results from the Italian gene therapy clinical trial. The Vivian family – both kids had the Italian Gene Therapy and are on no post-transplant drugs. They, and the rest of the trial participants, are doing great. In the next couple of days we’ll be sharing how to add your voice to the formal written docket for this meeting. This is our opportunity for the MLD community to be heard so we hope for many of you to share. A MLD grandmother was also present – we had a great talk. Turns out she is a researcher and has done some work at the NIH. She wants to work with us … and you … to write a paper on bone marrow transplant outcomes. We’ll have more to share on that soon too. On the 24th of this month we are convening a meeting of MLD researchers, industry, and academia in Washington DC to discuss openNHS, a project we hope starts with MLD but quickly expands to all rare diseases. We’ve prepared and sent out an openNHS Manifesto to frame our discussions. Please read this document and let us know if you have any feedback, questions or suggestions. You can read more about this project in this blog post.